On Tuesday, FBI Director James Comey held a press conference regarding Hillary Clinton's use of a private email server while working as secretary of state. While Comey recommended that the presumptive Democratic presidential nominee face no criminal charges for her actions, this one tweet on the press conference — which points out that Clinton's true trial may lie within a political court — says it all. 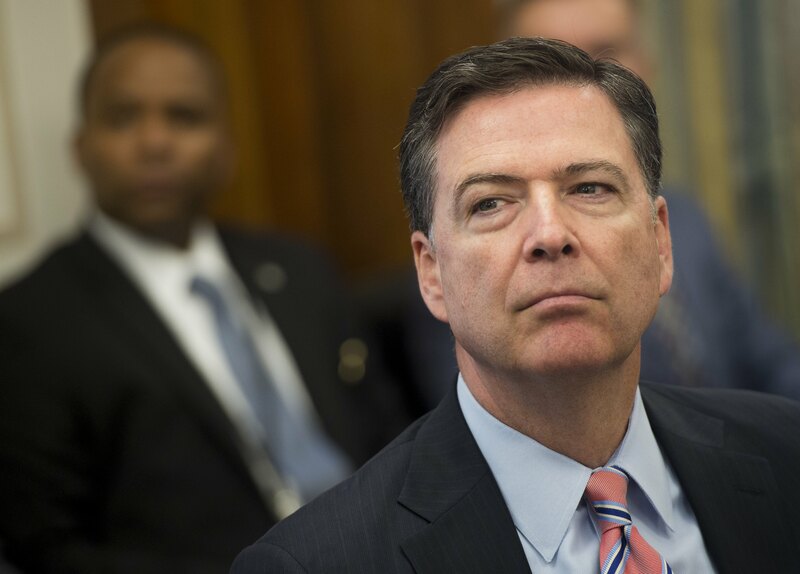 Comey's recommendation comes after more than a year of controversy and investigations led by the FBI, culminating in a three-and-a-half-hour meeting between Clinton and the agency on Saturday. This announcement will undoubtedly move her campaign's barometer in the direction it has been wholeheartedly seeking, away from scandal and toward presumptive Republican nominee Donald Trump, as both parties hold their conventions this month. And make no mistake, this development is good news for Clinton and her camp. That isn't to say that the political court is correct, however. With no charges coming her way, it seems high time that the Republican base, which particularly saw Trump rallying around the possibility of an indictment, move on. But more than likely, we will see this scandal brought up time and time again, politicized without any true basis for the GOP's gain. It'll be a call to voters and fellow politicians — "Remember when Clinton got away with the email scandal? Well, we can't let her get away with [unrelated issue]." Surely, Trump and his surrogates, at the very least, will ram this talking point into the ground. Since the FBI's announcement, Trump has already said that "the system is rigged" and that the lack of charges is "very very unfair!" Not exactly poignant, but he seems to get across what will likely be the main takeaway. They do have one aspect of the press conference to grab onto: Comey's admission that Clinton's use of a private server was "extremely careless." Though he followed this up with "Our judgment is that no reasonable prosecutor would bring such a case," it's no matter. While continuing to latch on to the investigation as a whole should be seen as baseless banter, the anti-Clinton GOP now has the phrase "extremely careless" secured in their repertoire forever.